Unique space for a semi-private den, office or media room. 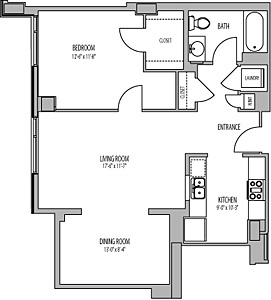 A great layout features a spacious kitchen with pass-through and laundry facilities off the bath. Abundant closets include a walk-in in the bedroom.